This is a fast growing prolific vine. Wisteria flowers hang gracefully on this hardy vine. The best location for this plant would be a solid built standalone arbor with heavy duty posts in the ground. 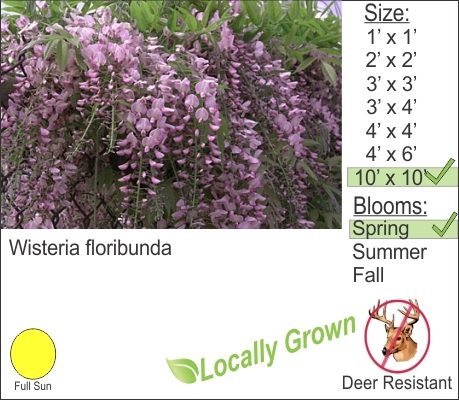 You can also plant Wisteria on an old dead tree that is away from other living trees. using the tree’s solid trunk and branching , the vine will grow onto the dead tree and make it look alive again. I would not recommend that you plant this vine on your home or any other structure that you value instead consider planting Climbing Hydrangea.